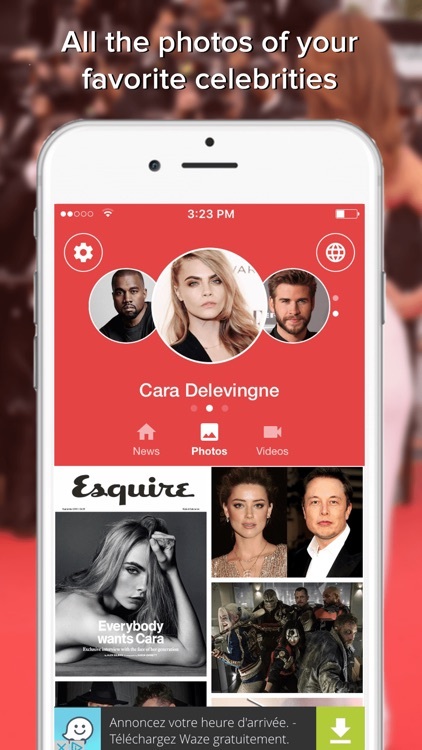 The most complete app to follow all the recent gossip about your favorite celebrities. 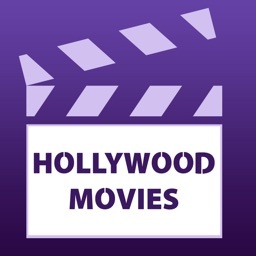 E-Online, Hollywood Gossip, Hollywood Life, Hollywood Gossip Wire, InStyle, Juicy Celeb, Perez Hilton, MTV, New York Magazine, People, Teen, The Superficial, US Weekly, VH1 and many more! You will know everything about the lives of these celebrities: break-ups, weddings, births, scandals, controversies, rumors, new relationships, antics and many more! 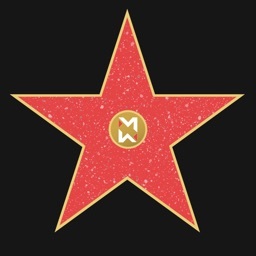 ◆	Select the celebrities you want to follow. 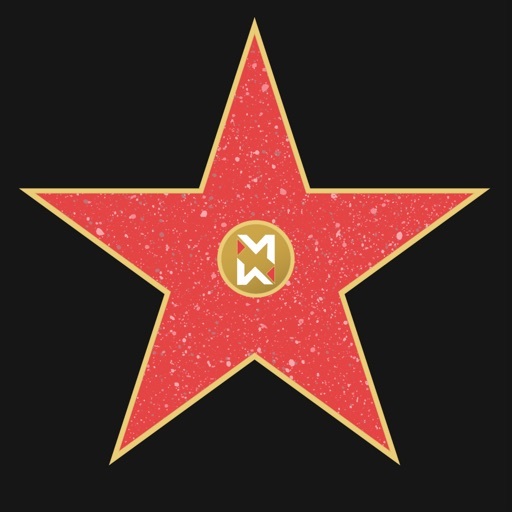 Access to over 250 different celebrities: Angelina Jolie, Brad Pitt, Selena Gomez, Bruce Willis, Bradley Cooper, George Clooney, Jennifer Lawrence, Johnny Depp, Leonardo DiCaprio, Jude Law, George Clooney, Marion Cotillard, Natalie Portman, Nicole Kidman, Ryan Gosling, Kim Kardashian, Paris Hilton, Nicki Minaj, Taylor Swift, Beyonce, Lady Gaga, Adele, Calvin Harris, Justin Bieber, Justin Timberlake, Miley Cyrus, Madonna, Rihanna, Zayn, Kendall Jenner, Kanye West, Donald Trump, Taylor Swift, Drake, Gigi Hadid, Ariana Grande and many more! ◆	News notifications: be notified regularly to not miss out on the latest news! ◆	Bookmarks: you can still benefit from the content of Gossip Addict thanks to the bookmarks, which can be accessible offline. 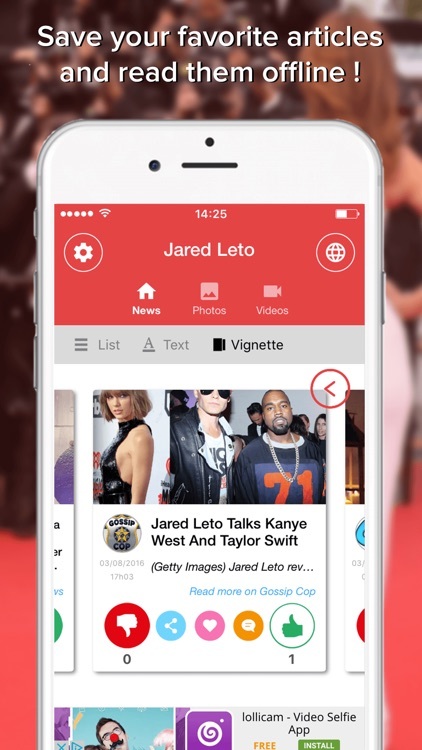 ◆	Comments: post your comments and read the comments of other users. ◆	Personal filter: choose the sources you want your info coming from. And, of course, many more!